Facing criminal charges in Kirkland, WA? 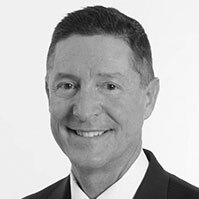 I’m Schoen Parnell, an experienced Kirkland criminal defense attorney who offers an affordable, effective alternative to dealing with a large, expensive law firms. I own Parnell Defense, a private law office dedicated to helping men and women charged with crimes and misdemeanors including domestic violence, firearms charges and probation violations. 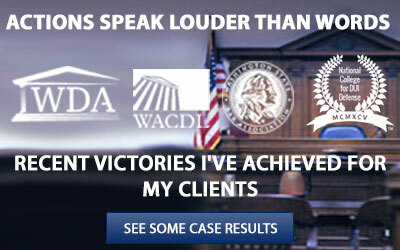 I’m an active member of the Washington Defender Association, the Washington Association of Criminal Defense Lawyers and the Washington State Bar Association. I have taken advanced-level training in DUI defense, and I have a special interest in defending clients charged with firearms crimes involving self-defense and ownership rights. I have represented hundreds of cases in Kirkland, hence why I keep a satellite office strategically located just outside of downtown Kirkland. Since 1998 I’ve helped countless clients achieve “not guilty” verdicts when faced with serious criminal charges. How? By providing high-quality criminal defense services to each of my clients, both in and out of the courtroom. I start by carefully limiting my active caseload to just 40 clients – that ensures I have the time to give every client the personal attention they deserve. Because I know that dealing with secretaries and talking to answering machines is stressful, I give each of my clients my personal email address and cell number so they can reach me 24/7. That’s right – here at Parnell Defense, you’ll never have to deal with paralegals, students or junior lawyers. When you hire me, I am your lawyer for the duration of your case, and I’ll be with you every step of the way. I also understand that being charged with a felony can cause significant financial strain – that’s why I offer my clients fair retainer fees, flexible payment options and hourly rates that are reasonable. 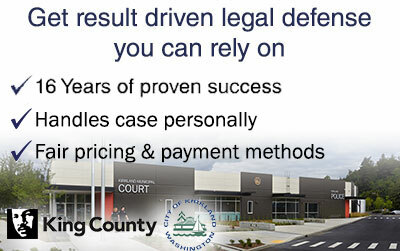 I know that choosing a criminal defense lawyer in Kirkland can be tough. To help reduce your stress, I provide free consultations so you can meet me and discuss your case. After we meet, you can decide if you’d like to retain me, or hire a large law firm. Kirkland’s municipal court is located in the justice center sharing the same building as the city’s police department. Kirkland’s court provides services for misdemeanor arrests made by municipal police officers in Kirkland’s city limits and its neighboring cities Clyde Hill, Medina, Hunts Point and Yarrow Point. The city books its arrests into its small jail located right next to the courthouse. Kirkland does not have its own prosecutor’s office instead it contracts with a private law firm named Moberly & Roberts. This law firm also handles the prosecution for several other cities in King County. Cases prosecuted by this firm are normally filed within 2 to 3 weeks of the offense date and pre-trial conferences usually occur about 40 days following the date of your arrest. Arrests made in Kirkland by a WA State Trooper or King County Sheriff’s deputy are considered to be “state cases”. State case arrests will have court scheduled in the King County District Court (KCDC) Northeast Division located in downtown Redmond. Felony arrests are considered state cases as well; however felony hearings are heard in the King County Superior court located in downtown Seattle. State related arrests are prosecuted by the County’s prosecuting office located in downtown Seattle too. The city of Kirkland files a high amount driving under the influence (DUI) cases in proportion to its population (80,000). In fact the number of drunken drivers who admit they had their last drink in Kirkland is on par or greater than Bellevue, a city with almost double the population. Typically officers who make DUI arrests in Kirkland regardless of the agency (city, Sheriff or Trooper) will use the Kirkland Police department’s video recorded breath test (BAC) room. Usually after the officer completes the breath test and booking process they will release the DUI arrest. However for prior charges or other circumstances you may be booked into the Kirkland city jail. Hiring an experienced Kirkland DUI lawyer can greatly increase your chances of either reducing our charges or avoiding a conviction all together. The clocks start ticking after your arrest has been made; schedule an appointment with me to discuss your cases options and potential strategy. Acting fast can aid in preventing your license from be suspended at the DOL hearing that will occur shortly after your arrest. Lunch 12 p.m. – 1 p.m. If you have any questions about your arrest in Kirkland, WA don’t hesitate to contact me.